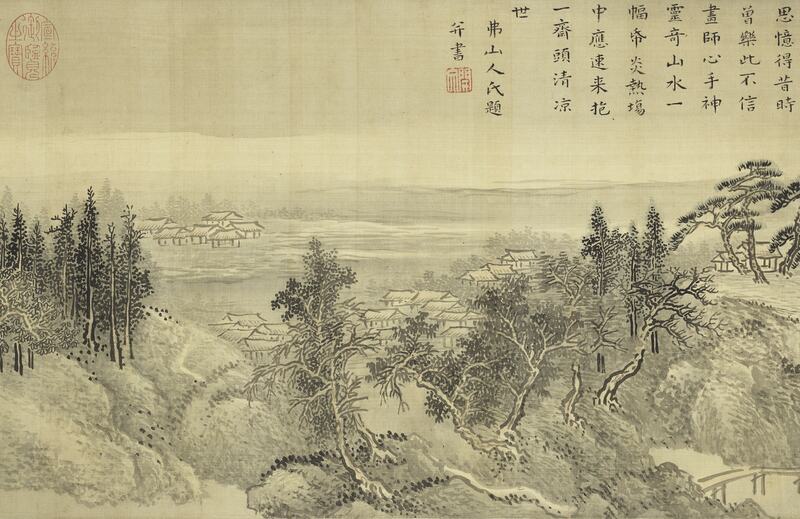 Wang Hui, a native of Changshu in Jiangsu, was one of the "Four Wangs" of the early Qing dynasty. Excelling in painting since childhood, he received instruction from two of the other Four Wangs, Wang Jian (1598-1677) and Wang Shimin (1592-1680), also having the opportunity to view ancient works in the possession of collectors in various areas. 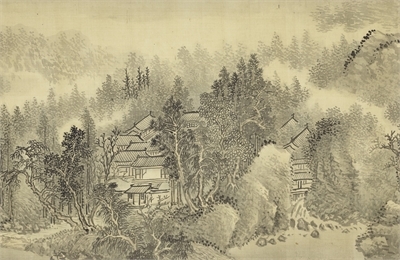 Copying and imitating these works, he was able to integrate past and present as well as northern and southern styles to develop his own style and become one of the premier painters of the Qing dynasty. 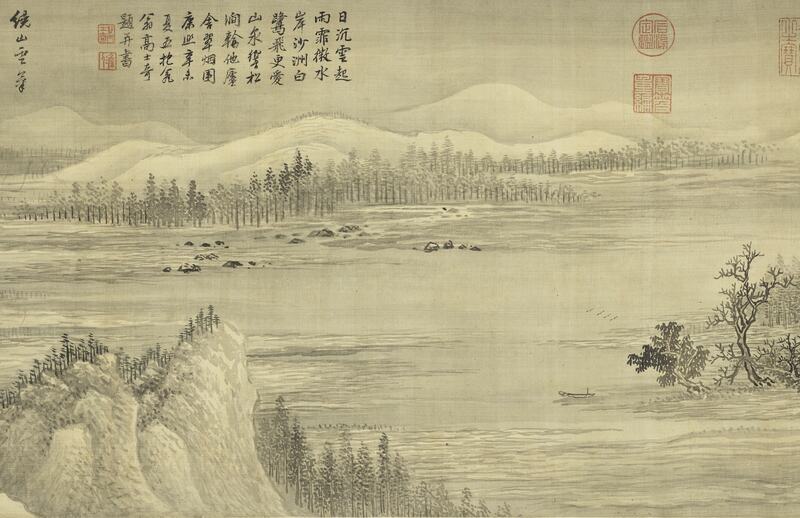 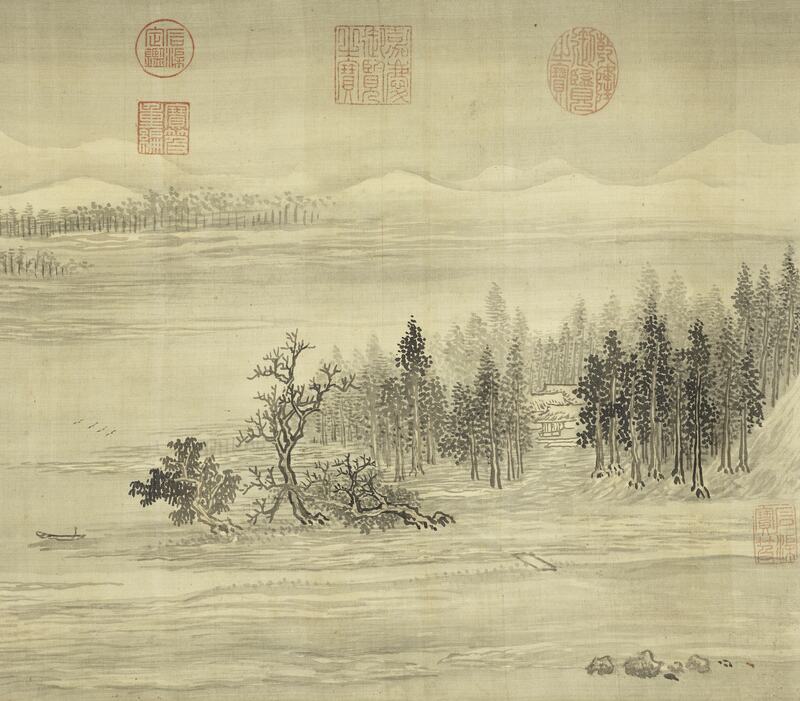 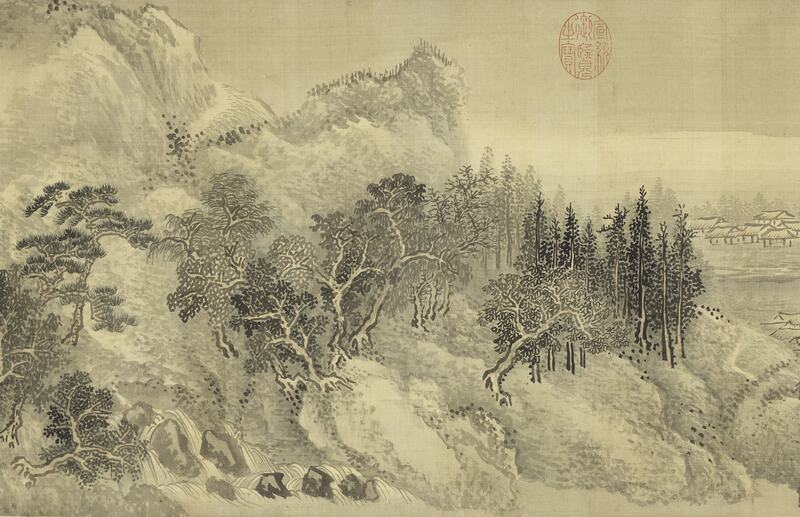 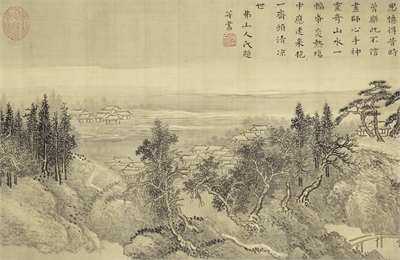 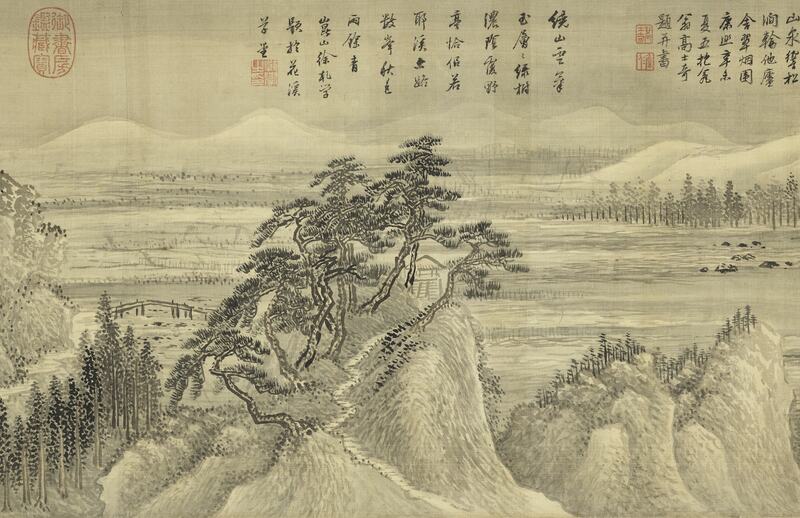 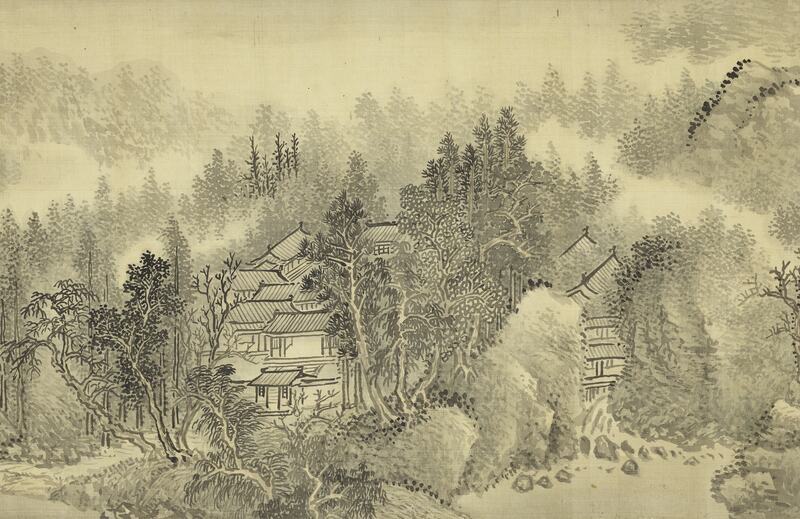 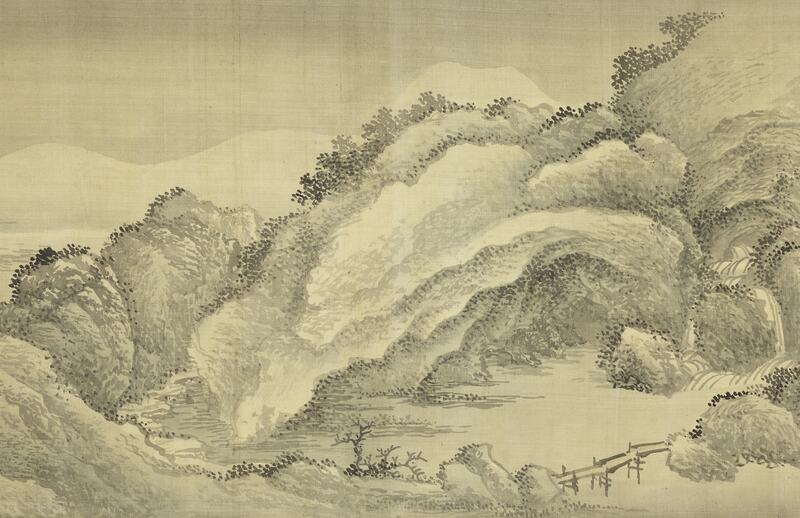 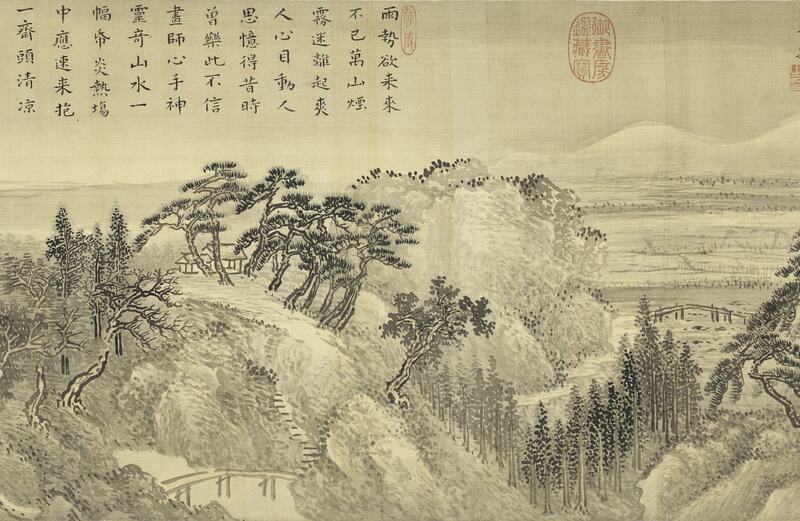 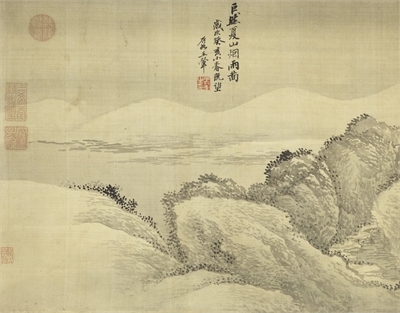 This handscroll depicts distant mountains in light ink with a pathway winding among them, the forests extending from the distance to the foreground. 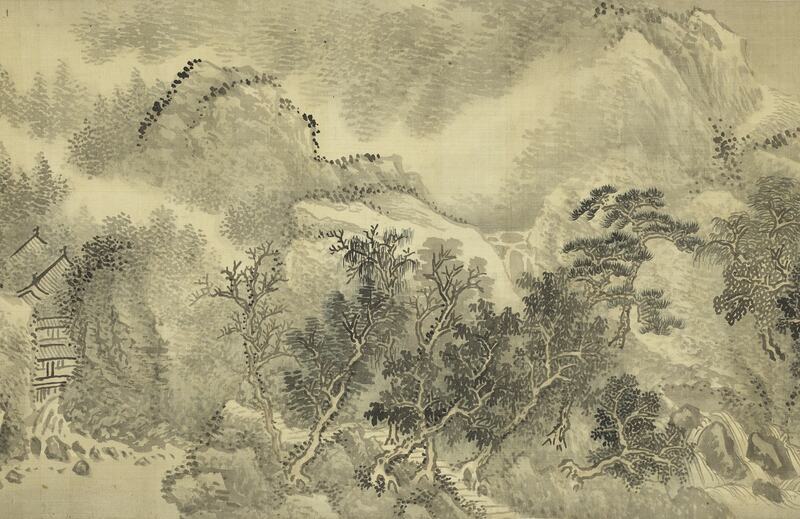 Interspersed are waterside pavilion, village, and tower motifs as well as bridge and waterfall elements. The juxtaposition of solid and void in the scenery adds variety to the compositional complexity, and the complementary use of light and wet ink creates a pleasing balance of washes. 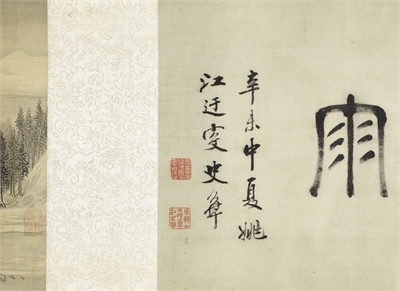 The brushwork throughout the scroll is refined and animated, the concept elegantly refined and marvelously lofty. 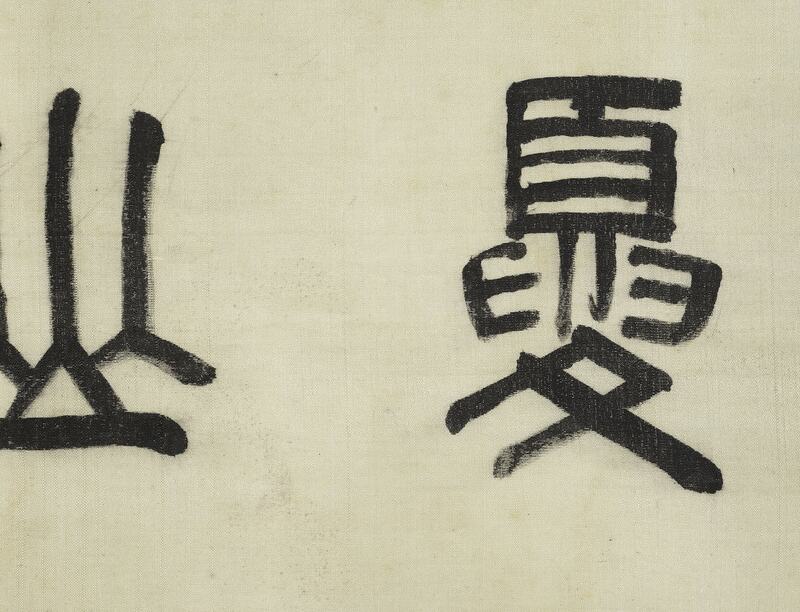 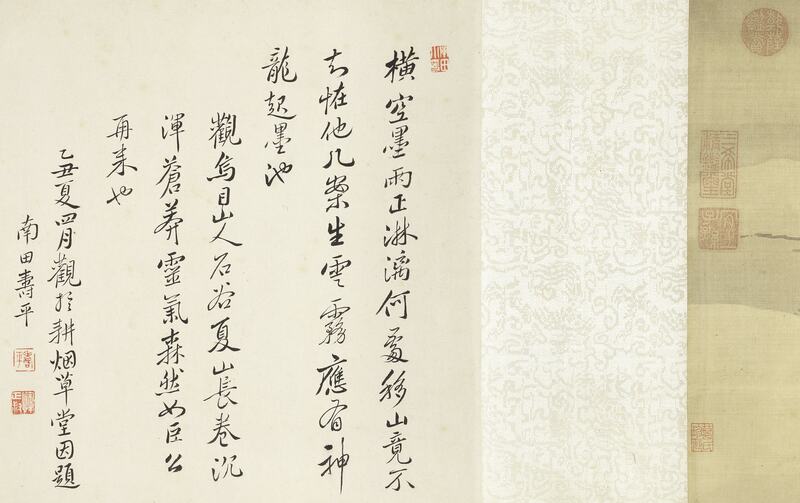 It is exactly how Yun Shouping (1633-1690), a contemporary of Wang Hui, wrote in his inscription of praise at the end of this scroll: "Steady and boundless, the spirit soars." 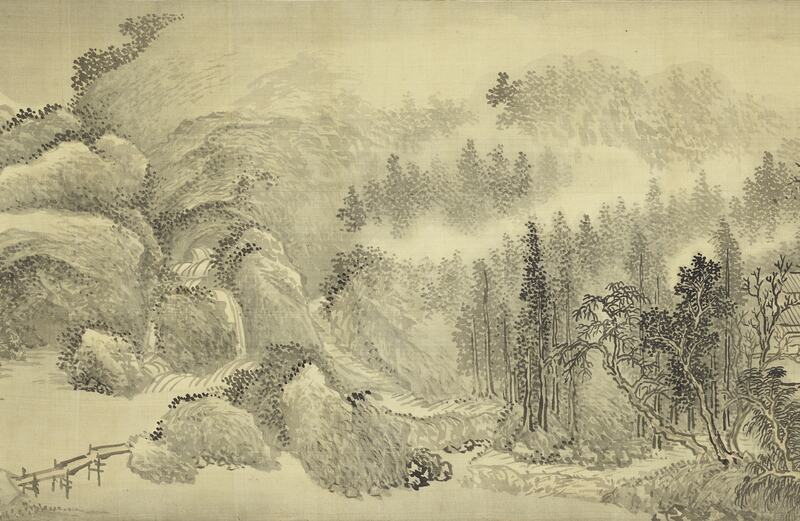 Done at the age of 52, this is a masterpiece representative of Wang Hui's mature period of painting.